Chicago- After months of publicizing an increase in the Illinois gas tax, tax raisers have formally announced their ambitions. SB 102 proposed by State Sen. Martin Sandoval (D-11) would double the motor fuel tax from $.19 per gallon to $.38 per gallon. 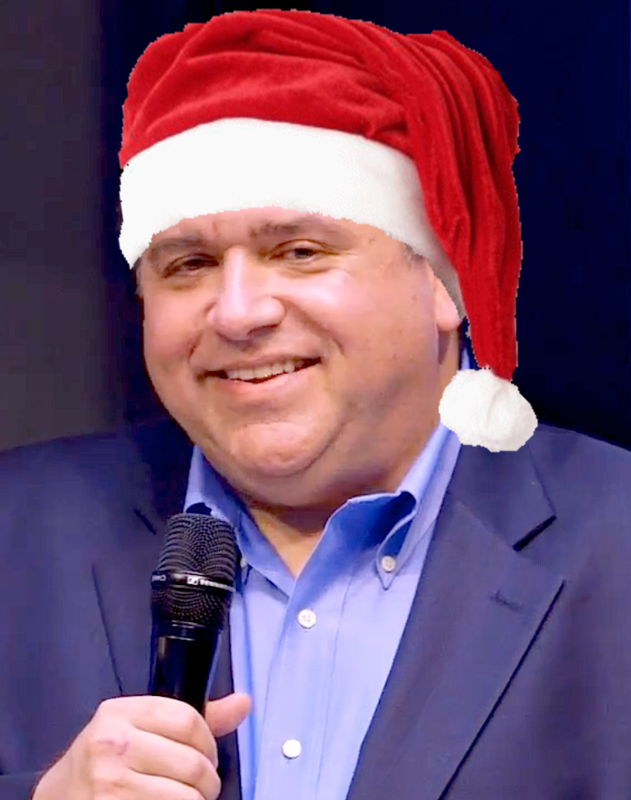 Additionally, Sandoval’s bill would increase the passenger vehicle registration fee to $148 from $98, and the electric vehicle fee to $148 from $17.50. Most driver’s license fees would increase to $60 from $30, while truck registration fees would rise by $100. 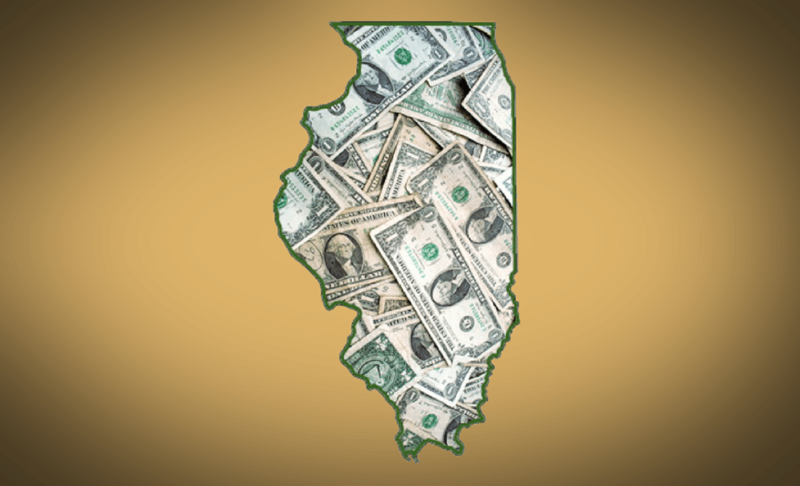 These tax increases would be expected to bring in an additional two billion dollars for Illinois government annually. CHICAGO—The president of Illinois’ largest taxpayer organization today condemned the huge proposed increase in the state tax on gasoline put forth by Chicago Mayor Rahm Emanuel, calling the proposed increase unconscionable and obscene. The outgoing mayor of Chicago and the mayors of Park Forest, Hazel Crest, Oswego, Fox River Grove, Joliet, Batavia, Broadview and Ford Heights called for the current 19 cent Illinois state gas tax to be raised to anywhere between an additional 20 cents to 30 cents. In other words these mayors are asking for a 105% to 157% gas tax increase for what has been described as “infrastructure” projects. The possible gas tax increase could be higher than the one passed by the 86th general assembly. The 86th general assembly presided over the great Tax Massacre of ‘89 where the gas tax was raised by 46%. 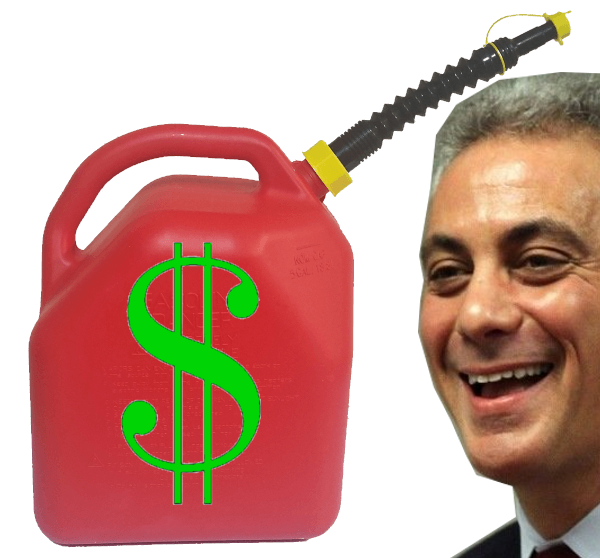 Mayor Emanuel was quoted as saying, “Our state can’t wait any longer” for the gas tax increase. According to Rahm Emanuel, “Over the last four years, we’ve been stuck in neutral and the states in the surrounding area — Ohio, Indiana, Michigan, Iowa just to name a few — have passed transportation bills with gas tax increases.” What Emanuel failed to mention was Illinois already pays higher gas taxes than most of its neighbors. If the 157% gas tax increase is passed, based on Tax Foundation research Illinois could rank in the top five U.S. states for highest gas taxes surpassing all of its neighbors.